Since opening our doors back in 2011, Master Ray Kyi and our Instructors at AKYI Martial arts have 1 goal ; to make a student the best they can possibly be. Our instructors strive to teach proper Taekwondo techniques from the very first class. At AKYI Martial Arts, it is not just about how many trophies you win, or how high you kick, its about how each individual carries themselves, black belt or not. 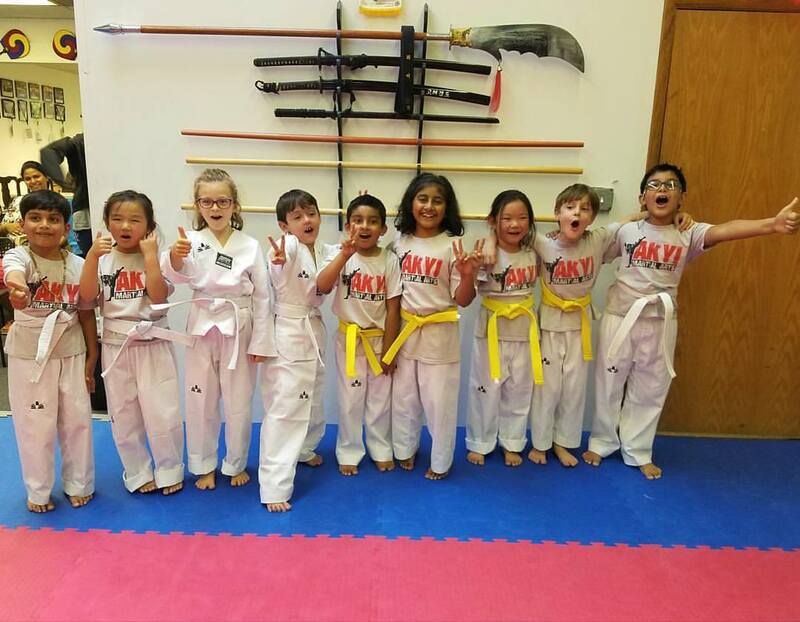 We pride ourselves in providing a fun, safe, family feel atmopshere, that makes Taekwondo and working out not only enjoyable, but a positive experience for all ages! we at AKYI strive to ensure that they grow to reach their fullest potential. By having an open communication line with the parents, we consistently check in on their schoolwork and home behavior. Martial Arts has been proven to have many benefits; this is especially true for children. By being involved in Martial Arts they learn self-confidence, Respect and Discipline but most importantly they learn to live a healthy lifestyle while having fun! For the Adults: Most people think that Martial Arts is primarily for the kids, but the reality is, Martial Arts is just as beneficial for adults. At AKYI Martial Arts, we not only teach Adult Taekwondo and Hapkido, but also offer an Adult Kickboxing program. Adults and Teens receive a full body workout that can not always be achieved at a gym. Adults learn how to relieve stress from everyday life, increase stamina and lose weight to live a healthy lifestyle! No matter what type of workout you are looking for, let us help you achieve your goals!